Ambient Guitars has been formatted in the most widely-used formats: Apple Loops, Acidized WAV and REX files, making it usable in virtually every piece of software and hardware in use on the market today. 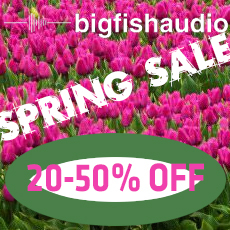 In addition this library comes fully formatted for Kontakt as part of the Big Fish Audio KLI 3.0 Series which transforms this loop library into a truly moldable and musical writing instrument. I use this tool to create attractive environments for professional photographers slide. Of course I do not use the original sounds, even if they are very beautiful. I modify them, because sometimes I have to play them live with my Haken Audio Fingerboard.